In order to avoid exposure to dust, animal dander and dust mites, regular cleaning regimens should be adhered to using effective cleaning products1. For sensitive individuals, cleaning can be a double edged sword. Some cleaning products that contain natural chemicals like tea tree oil or plant extracts may induce an allergic reaction2,3. However, reactions to cleaning products can also occur via non-allergenic reactions such as contact dermatitis and inhalation of irritant compounds. Bleach is often used in cleaning solutions to whiten or remove stains. It is also used to degrade organic products (ie dirt/grease) and can act as an antimicrobial agent. When mixed with water, sodium hypochlorite produces hypochlorous acid – this provides the whitening and antimicrobial activity. Sodium hypochlorite can be extremely dangerous and so should be used with care. Use of bleach with other types of cleaning products can release chlorine gas, which is extremely dangerous when inhaled. Skin contact can also cause irritation or burns and bleach is corrosive at higher concentrations. Enzymes are natural compounds that are used to break down organic soils. Some types of enzymes used can include lipases ( for breaking down fats) and proteases (for breaking down protein). These are natural compounds and can elicit an allergic reaction, both by contact with skin and inhalation8. Predominantly they are associated with occupational exposure5, however if you do have an allergy to certain enzymes, products containing these should be avoided. 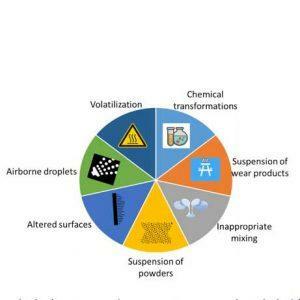 Surfactants change the properties of water to enable the cleaning solution to wet a surface more quickly, providing for more rapid removal of dirt. Part of the surfactant structure is attracted to oils (found in grease), the other is attracted to water. This opposition provides a way for the surfactant to ‘pull’ the grease away from the surface to be cleaned. In addition to being used in cleaning products, surfactants are also used in personal care products, however some surfactants can cause irritant dermatitis, and should be avoided where possible. These include sodium lauryl sulfate (SLS) and dodecyl trimethyl ammonium bromide (DTAB)6. A solvent is simply a medium that will dissolve something – when sugar is dissolved in water, the water is acting as a solvent. Sometimes water is not enough though and in these circumstances other solvents are added for efficacy. These can include short chain alcohols and glycol ethers. These solvents act similarly to surfactants, being soluble in water but also able to penetrate oily soils. Exposure to solvents is generally through inhalation; studies of occupational exposure to solvents have shown a wide range of health effects including reproductive and developmental issues. Normal controlled consumer exposure to solvents should not incur these risks, however if you have a sensitivity to solvents then these should be avoided where possible7. Preservatives in cleaning products are used to prevent decay and spoilage of the product. Cleaning products are expected to have a long shelf life and so effective preservatives must be used. Some of these preservatives in high concentrations may cause reactions in sensitive individuals and so care must be taken in product selection. How are you exposed to chemicals in cleaning products? The route of exposure to any chemical in cleaning products is generally through inhalation or skin contact. Inhalation exposure to cleaning products is mainly through Volatile Organic Compounds (VOCs) although it can occur in several ways as outlined in Figure 1. Figure 1. Mechanisms by which cleaning product constituents can be inhaled (adapted from Nazaroff and Weschler, 20048). VOCs are emitted from liquid and solid materials and cause “Eye, nose, and throat irritation; headaches, loss of coordination, nausea; damage to liver, kidney, and central nervous system”9. While these side effects can affect any one who is exposed, throat and lung irritation can cause a substantially greater problem for those suffering from asthma as it can prompt an asthma attack10. In the case of cleaning products, VOCs can come from the product itself, be a product of a secondary reaction, or even be emitted from a cleaned surface. Consumer usage of cleaning products can lead to irritation of the airways, potentially exacerbating already existing asthma. Occupational exposure can have more serious consequences with consistent exposure to chemicals from cleaning products being responsible for the development of work-related asthma11. 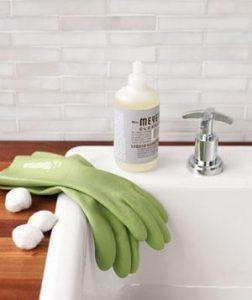 Exposure to cleaning products can occur routinely on the hand and arm. In general, any reaction is likely to be as a result of chemical sensitivity rather than an allergy. Approximately 80% of contact dermatitis is a result of an irritant reaction12. Chemicals which may cause a reaction include preservatives (eg isothiazolinones13), surfactants (eg coconut diethanolamide14) and fragrance (eg limonene15). Contact dermatitis will result in a red, itchy rash, and while not life threatening, can be extremely uncomfortable. Additional symptoms may include: Dry cracked scaly skin, bumps and blisters, swelling, burning or tenderness. In order to reduce the risk of exposure to the skin it is essential to wear correct personal protective equipment (PPE), ie gloves, to follow the manufacturer’s instructions and use products in well ventilated areas. The emergence of the environmentally friendly movement in the 1970s was as a result of concerns about pollution and endangered species. While this attention has remained, the philosophy has expanded to almost every industry sector in the world; cleaning products are no different. The initial focus on saving species and preventing oil spills has been refined into a greater understanding that the environment is affected by every decision that we make, from plastic microbeads to plastic bags, and from water consumption to water quality. 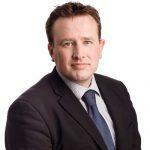 With this evolving understanding has come a consumer desire to purchase products that are more ‘friendly’ to the environment, with a focus particularly on products containing less ‘chemicals’. This now means that, while all cleaning products will contain chemicals, it is possible to purchase products that may be more suitable for those with allergies and sensitivities. It is important however not to confuse environmentally friendly with human friendly. For example, environmentally friendly cleaners will often use natural essential oils as an active ingredient, however these oils can elicit an allergic response in sensitive individuals16. What is most important is that consumers are aware of what chemicals they have sensitivities or allergies to, and do their best to avoid products containing these compounds. Although, it can be very difficult to interpret ingredient labels on cleaning products. How do you identify healthier cleaning products? Companies have recognised this and often use certification marks on their products in order to communicate effectively to customers. 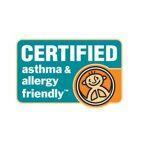 Common certification marks for cleaning products include Eco Logo, Green Seal, Safer Choice and the asthma & allergy friendly® Certification Program. 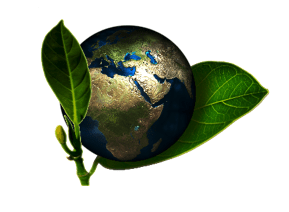 The Eco Logo is operated by Underwriters Laboratory, a company that specialises in certification, validation, inspection and audits. The Eco Logo is awarded to companies whose products have been tested and proven to have a reduced environmental impact. The main characteristics of the standard relate to life cycle assessment, supply chain review and social and environmental attributes. There is no health impact assessment as part of this certification standard17. 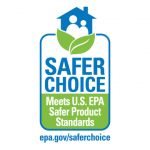 Safer Choice is operated by the US Environmental Protection Agency and identifies products that perform and are safer for human health and the environment. The standard requires that product ingredients are reviewed for environmental and health impacts and recommends lowest impact chemicals from each functional class (ie surfactant, preservative, etc). Safer Choice does not test the product for efficacy19. Never use more that you need – elbow grease is better than airway irritation! 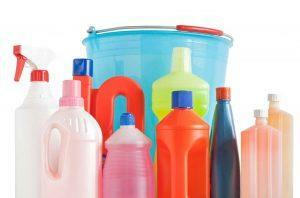 Never mix cleaning products as this can lead to the production of dangerous gases. Select a product that does not leave an aerosol in the breathing zone. Inhalation is central route for chemicals to enter the body when cleaning, minimising this can minimise your exposure. You may need to consider wearing a breathing mask if you are particularly sensitive. If you are sensitive to fragrances, select a product that is fragrance free. However, take care – consumers often equate fragrance with effective cleaning and so where you use a fragrance free product, make sure not to use too much of it! Dependent upon your reaction to cleaning products, it may be necessary to wear gloves to minimise skin contact, in addition, ensure you clean in a well ventilated area. If you are dusting, either use a product that does not remain in the breathing zone, or use a damp cloth in order minimise dust aerosolization. The most important thing is to educate yourself – you need to take personal responsibility for your allergies or sensitivities to chemicals. Understand what you react to and take steps to avoid it. If you wish to use certification marks as signposts for products that are more suitable for you, make sure that you understand what their certification is based on, and that environmentally friendly does not always mean human friendly! Fu, R, Zhang, Y, Peng, T, Guo, Y and Chen, F (2015) Phenolic composition and effects on allergic contact dermatitis of phenolic extracts Sapium sebiferum (L.) Roxb. leaves. J Ethnopharma 162: 176-180. Wilhelm, KP, Freitag, G and Wolff, HH (1994) Surfactant-induced skin irritation and skin repair: Evaluation of the acute human irritation model by noninvasive techniques. J Am Acad Derm 30 (6): 944-949.